Get 50/50 Raffle Tickets now for Dec 7 Drawing! St. Joseph Council is sponsoring a 50/50 Cash Raffle to raise $2,000 for our 8th Grade Scholarship Program for students in St. Joseph Parish and Ascension Parish wishing to enroll in a Catholic High School. With your help we can reach our fundraising goal and you will have a chance to win one of three cash prizes. This is our Council's biggest raffle fundraiser of the year so please purchase tickets to support this great cause. Raffle tickets are $20 each. The drawing is only a few days away so act now for a chance at a winning ticket to be drawn at our Christmas party at our Council at 9pm on Saturday December 7, 2013. If you would like to purchase tickets, send an email to kofc3814@gmail.com with your request. All are welcome! Winner need not be present to win. 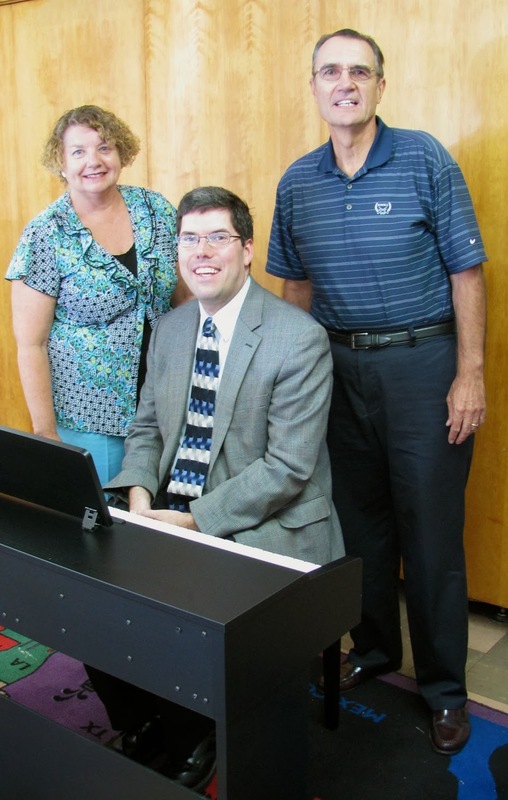 St. Joseph Council #3814 of the Knights of Columbus donated a Yamaha Arius 88-key digital piano and bench to Saint Joseph parish and school in Oradell, NJ. and K of C Grand Knight John Klochan. The piano will be used to enhance the Christmas and Easter liturgies that are celebrated in the school gym and will also be used by the school music teacher in music classes and at school concerts. St. Joseph Council is a very active group with 220 members. Their service projects include supporting children with developmental disabilities, community service such as the piano donation and the local food pantry, a seminarian fund, and scholarships for ascending Catholic high school freshmen. 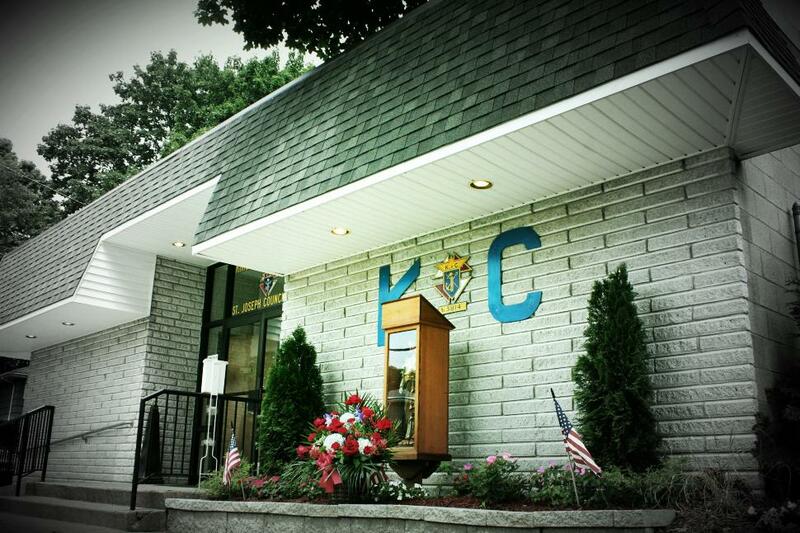 St. Joseph's Council #3814 held its annual Community Award Night on Friday June 28, 2013. Eight individuals who have demonstrated exceptional service to our community as a member of the Police Department, Fire Department or Ambulance Corps were honored. The senior officer of their respective service organization recommended them for the award. John Klochan, Grand Knight of St. Joseph's Council presented the recipients with Certificates of Appreciation for their Community Service. Our Council also honored our 8th Grade Scholarship winners. 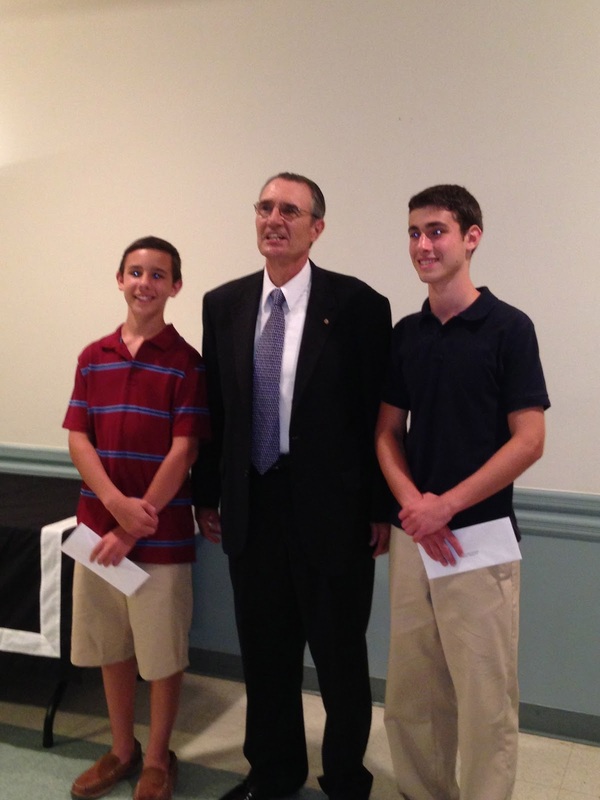 St. Joseph's Council awarded $ 500 Scholarships to Joseph Carrier and Gian Paolo Pernicone of St. Joseph's School, Oradell, NJ. Applicants had to be 8th Graders registered at St. Joseph's Church in Oradell or Ascension Parish in New Milford and planning to attend a Catholic High School in the fall. Applicants were ranked using criteria that included charitable and volunteer activities, awards and school honors, school activities, leadership positions and an essay on one of the Knights of Columbus principles of Charity, Unity, Fraternity and Patriotism. Joseph plans to attend Don Bosco Prep High School and Gian Paolo plans to attend Bergen Catholic High School. St. Joseph Council No 3814 is pleased to announce that $500 Scholarships will be awarded to two 8th graders planning to attend a Catholic High School in the fall of 2013. Eligible scholarship applicants must be registered with St. Joseph Parish in Oradell, NJ or Ascension Parish in New Milford, NJ. Selection will be based on subjective and objective criteria including extracurricular activities focusing on service to the church, school, and community, and an essay on the value of the Knights of Columbus principles of Charity, Unity, Fraternity and Patriotism. Completed applications must be returned to St. Joseph Council and postmarked no later than Monday, April 15, 2013. Winners will be notified in May. Applications can be downloaded from our website (Left Column) For additional information contact Jeff Walters at 201‑925-7174. St Joseph School in Lodi N.J.
Congratulations to the competitors from St.Joseph KofC Council 3814. The following winners advance to compete in the regional Free Throw Championship on March 16 at Paramus Catholic High School in Paramus.